These are also good sources for accurate information about the Vatican, Holy Father and Catholic Church. USCCB — Official website for Catholic bishops of the United States and U.S. Virgin Islands. Also available on Facebook, Twitter and YouTube. Catholic News Service — Official news agency of the U.S. Conference of Catholic Bishops. Also available on Facebook, Twitter, YouTube and the Catholic News Service Blog. Bishop Anthony B. Taylor — Bishop Taylor posts his homilies and statements on this Facebook page. 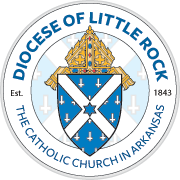 Diocese of Little Rock — Official website for the Diocese of Little Rock, which encompasses all of Arkansas. Also available on Facebook, YouTube and Google+. Arkansas Catholic — Official newspaper for the Diocese of Little Rock, which encompasses all of Arkansas. Also available on Facebook and Twitter. "And now let us begin this journey, the bishop and the people, this journey of the Church of Rome, which presides in charity over all the churches, a journey of brotherhood in love, of mutual trust. Let us always pray for one another. Let us pray for the whole world that there might be a great sense of brotherhood." 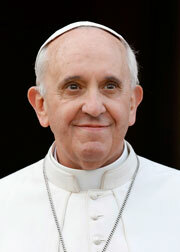 The following links are the official sources for the Vatican and Pope Francis on the Internet. Instagram — Download the app for the Holy Father's official account. YouTube — Get your information about Pope Francis’ main activities and important Vatican events from the Vatican News Channel. Holy Father's Prayer Intentions — Pope Francis communicates his monthly prayer intentions on video asking for prayers and action on various challenges facing the world today.